Would you believe if I said 65% of the students you teach are visual learners? Growing up with television, video games, and the Internet, millennials are genuinely visual learners. With varied differences among learning styles, millennials need to be taught the way they learn best – visual stimulation accompanied by active learning strategies. Let’s see how science proves this theory. In 1983 Dr. Howard Gardner, professor of education at Harvard University proposed the theory of multiple intelligences. He said that our current education system focuses only on linguistic and logical-mathematical intelligence. However, students no longer learn the same way and that ‘one size fits all’ is long gone. Dr.Gardner emphasizes that we should place equal attention on students who learn in different ways as well. Some students learn best through listening; some through pictures or visual stimuli, e.g., video resources. The theory of multiple intelligences proposes a significant transformation in the way our schools should run. A lot of schools have varied their teaching styles and delivery methods according to Dr.Howard’s theory. Schools are currently using Howard’s philosophy to redesign the way they educate students. Did you know? The human brain processes visuals 60,000 times faster than text. That’s why visuals like video are said to grab the attention of students and makes them visual learners. Videos make it more enjoyable for students to absorb information as well. A one minute of video is equivalent to 1.8 million words, that’s a lot of information students can absorb in a quick span of time! Video works perfectly when you have to teach complex concepts. Students can understand in just a few blinks of the eye what would otherwise take pages to explain. If you don’t expose your students to different forms of educational technologies, you might be depriving them of vital learning opportunities. There is a number of ways to get started with incorporating technology into the classroom. Using videos is a simple place to start. Videos in the classroom give teachers the chance to stimulate each student’s learning process with a combination of pictures, animation and, sounds. Having this opportunity in the school helps facilitate learning. More and more schools are taking advantage of videos to teach their students better. Videos present information and make students interact with technology on a daily basis. Now you know the importance of videos in teaching and learning. It’s now time to look at different DIY videos which teachers and students can create within minutes. Teachers prepare lengthy lessons and lecture them to students in an old-fashioned way. Teaching with no visuals gets everyone in the class tired and sleepy. Being less attentive in class can also hurt the learning capabilities and interest of the students. To the teacher’s surprise, putting extra excitement in class is made easy by recording class lectures. 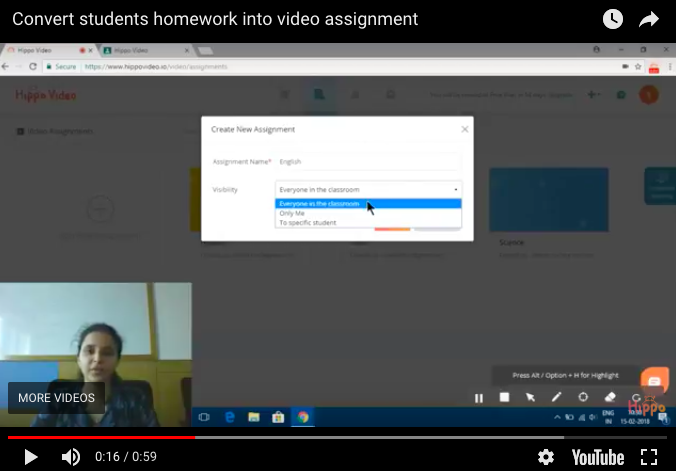 With just one computer and a video recording tool, teachers will be able to record an exciting lesson and send them to students instantly. Recording class lectures provide flexibility for students to pause and re-watch according to their learning pace and needs. Teachers and students don’t have to restrict themselves to the classroom to teach or learn. Teachers can share recorded lessons and insights anytime and from anywhere. Pre-recorded lectures help close gap in lessons that might result from teacher’s absence to the classroom. 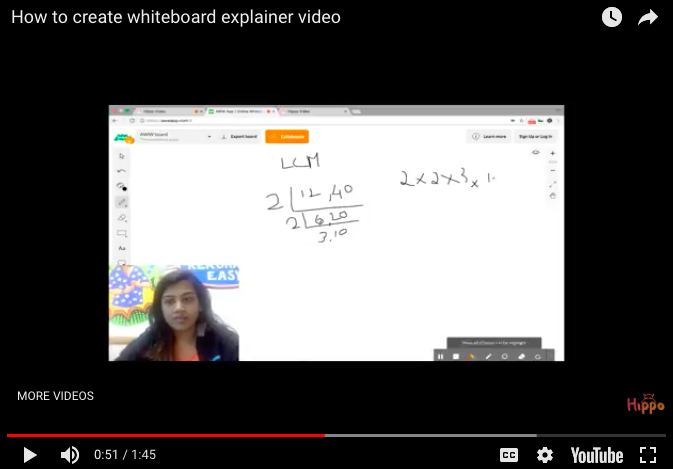 Recording whiteboard explainer videos humanize the teaching experience and make it easy to teach hard-to-grasp concepts. Recording whiteboard explainer videos save hours of repetitive teaching and help in retaining key concepts longer. It gives students an option to watch later and make a dull topic interesting. Students can also record explainer videos by explaining tricky concepts back to teachers. 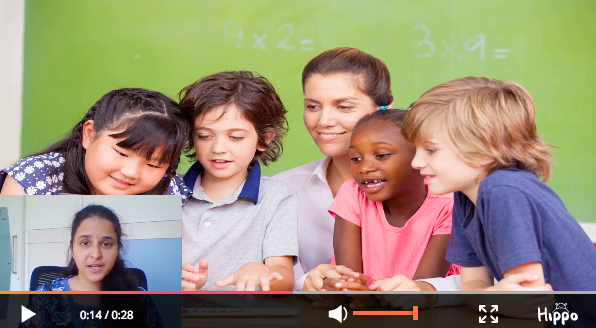 Recording video presentations can be a good option in boosting student-teacher engagement rate. Rather than forcing students to participate in quizzes, exams, and worksheets, you can challenge them to share what they’ve learned through creative video presentations. Most of the teachers today are teaching millennials. When you teach millennials you wouldn’t want to do the boring introductions, right? Recording an introduction video of yourself and sending them to your students will make you stand out from the crowd. Sometimes students join little early, skip early on you feel the class is not in sync. To avoid this, sending video introduction will give students the opportunity to refer the video any time during the course. When we talk about introductions, it needn’t be very extensive. You can do a Google Slide presentation and turn it into a video. It is the most natural means of creating videos for many teachers around the world. It let teachers record everything that appears on the screen. Screen recording has become relatively easy with the advent of browser-based video tools. You will be able to create professional screen recordings and share it with your students instantly. Screen recording provides an archive of useful lessons that students can view multiple times, especially for hard-to-grasp concepts. Teachers can create instructional screen recordings or tutorials and share them with students, so everyone is on the same page. Asking students to write essays, read assignments, and other types of homework are boring. With video assignments, you can help your students immerse themselves in a topic more naturally and aid with interactive learning. It tends to be research intensive, collaborative and acts as a highly engaging student activity. Teachers can review and critique the assignments easily. Students can tap their creative potential to produce exciting and engaging video content. They will learn how to use digital apps or technologies and use that medium to present their own, original thoughts. Teachers can ask students to record a video summary on what they have understood from their daily lectures. This activity will enable students to revise their daily lectures regularly while having a good understanding of the subject. It also inspires the students to come prepared for their future lectures. Providing video feedback to students allows them to self-assess their skills and capabilities by listening to the feedback repeatedly. 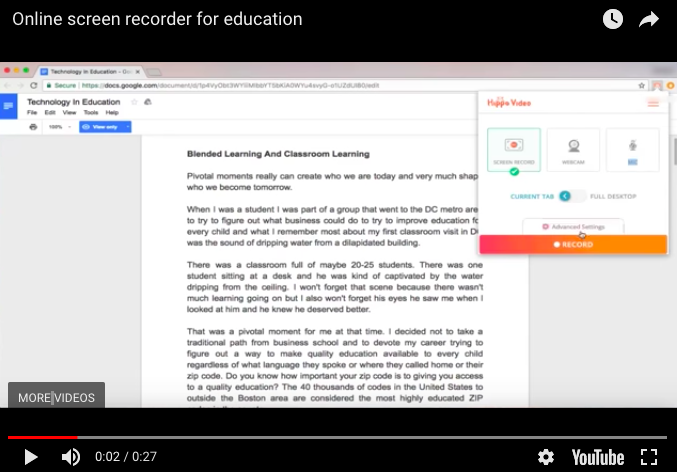 By recording student feedback as videos, you can make it personalized, deliver them fast without taking up classroom time, and share them privately to the intended student. Video can be an engaging tool for providing personalized feedback on students’ work. 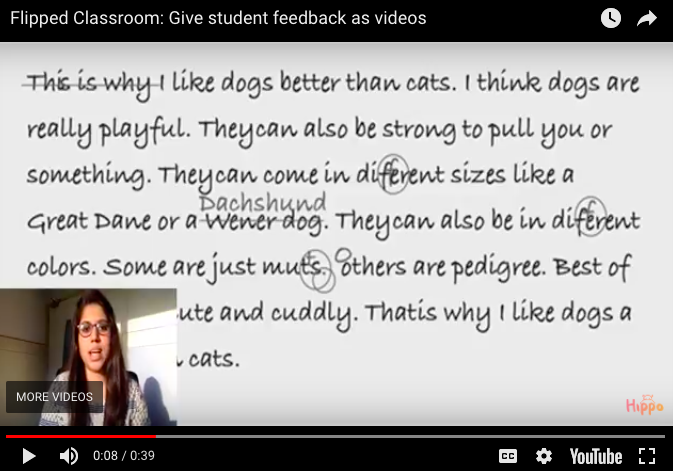 Students can see their work visually, and connect the feedback with the audio comments. Video feedback can improve students’ work by helping them understand the types of errors they are making and the reason behind it. How Hippo Video Can Help Teachers And Students To Create DIY Videos? If you’re looking for a video tool to record class lectures, you can start by exploring Hippo Video. With Hippo Video, recording video is much easier than you think. Hippo Video allows users to record any class lectures with high resolution in just a few clicks. Using screen capturing tool like Hippo Video will allow teachers to record the laptop screen with audio and create mini-lectures by narrating over the screen. Hippo Video integrates with Google Classroom, D2L, Google Drive, Google Docs and Gmail. Here is how you can record a video presentation with Hippo Video. Install the Chrome Extension of Hippo Video. 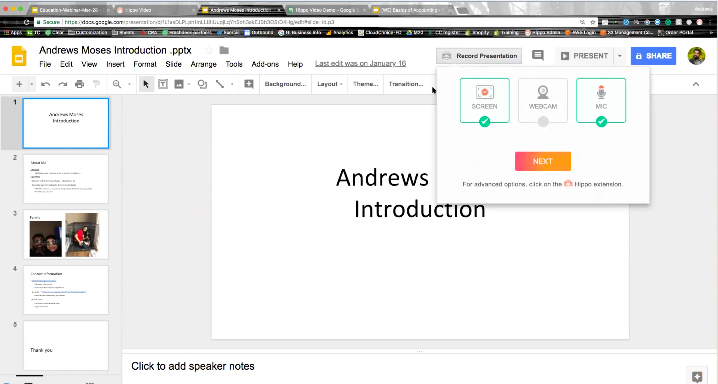 As Google Slide is browser-based, you can share your presentation live from your Chrome web browser. From there, recording is easy — just click on the button “Record Presentation” which appears in Slide. Hippo Video will capture everything you show, automatically sync your webcam or other video input, and make everything ready to share in seconds. Good article,digital learning very easy understanding for students.